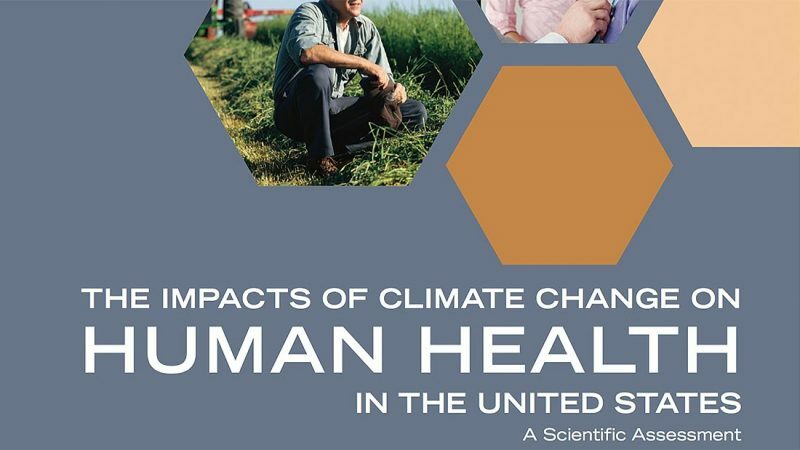 On April 4, 2016, the White House Office of Science and Technology Policy released a report titled The Impacts of Climate Change on Human Health in the United States: A Scientific Assessment. This assessment provides public health decision-makers at every level of government with more definitive and, where possible, quantitative assessments of the national burden of health impacts projected under climate change. The report concludes that climate change is a significant threat to the health of the American people, exacerbating existing health threats and creating new challenges. The U.S. Global Change Research Program developed this scientific assessment as part of the ongoing efforts of its sustained National Climate Assessment process, as called for under the President’s Climate Action Plan. This assessment significantly advances what we know about the impacts of climate change on public health and the confidence with which we know it. To view the full report, visit the assessment’s interactive website at health2016.globalchange.gov. For a synopsis of the key findings from the assessment, download the Executive Summary. NCICS / CICS-NC staff, along with colleagues from NOAA’s National Centers for Environmental Information (NCEI), played pivotal roles in the development of this report. Jesse Bell, a NCICS / CICS-NC research scholar, was a lead author on the Impacts of Extreme Events on Human Health chapter of the assessment. NCICS / CICS-NC colleagues Carl Schreck III and Jennifer Runkle served as contributing authors on that chapter. Kenneth Kunkel served as a contributing author on the Introduction: Climate Change and Human Health chapter and the Modeling Future Climate Impacts on Human Health appendix. NCICS / CICS-NC staff at the NOAA NCEI Technical Support Unit provided project management support, technical editing, and copyediting support. TSU staff and the NCEI visual communications team spent countless hours creating and improving scientific figures and laying out the final assessment PDFs. The TSU web team designed and developed the assessment’s interactive website, which allows you to easily share its findings on social media. Additionally, TSU data experts and software engineers helped ensure openness and transparency in the report by facilitating the collection and delivery of a range of metadata.